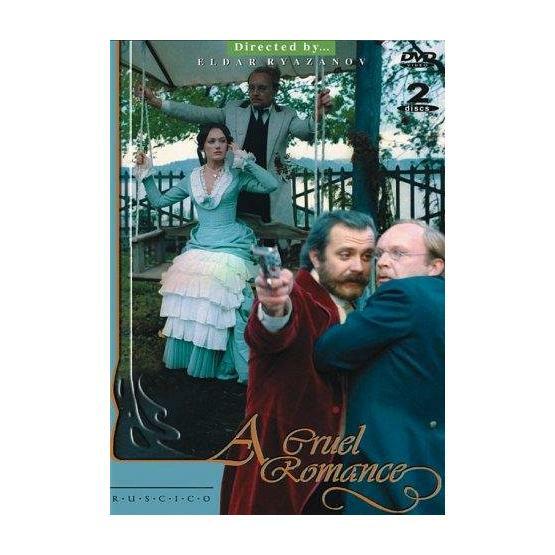 "A Cruel Romance" (1984) is the screen version of "A Dowerless Girl" by Alexander Ostrovsky, the greatest 19th century Russian playwright. Directed by Eldar Ryazanov. Starring Larisa Guzeyeva, Alisa Frejndlikh, Andrey Myagkov, Aleksei Petrenko, Nikita Mikhalkov and Viktor Proskurin. TV systems: NTSC, PAL. Aspect ratio: 4:3. Sound format: Dolby Digital 5.1. Languages: Russian, English, French. Subtitles: Russian, English, French, German, Spanish, Portuguese, Italian, Dutch, Swedish, Arabic, Hebrew, Chinese, Japanese.